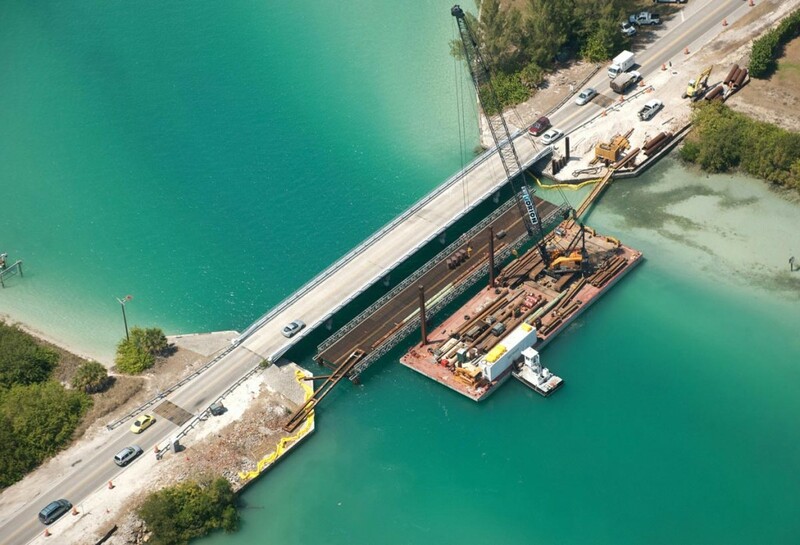 KCCS was the prime CEI consultant for 1.08 miles of roadway construction and the replacement of two structurally deficient bridges on the Boca Grande Causeway. The bridge replacement includes an 825-foot-long Center Fixed Bridge and a 267-foot-long South Fixed Bridge. Also inspected the construction and removal of the temporary Acrow bridge. Included was rehabilitation and repair of bulkhead walls, construction of temporary and permanent Mechanically Stabilized Earth (MSE) walls, and construction of critical temporary sheet pile walls required for phased construction. Also includes construction of temporary and permanent MSE walls, temporary sheet pile walls, utility coordination, roadwork, and drainage. Cost: $14 million.